How many people do you count? 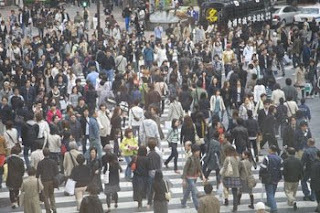 Shibuya, Tokyo on a Sunday afternoon. What amazed me is that nobody was pushing and shoving. Despite how crowded it was orderly.